I'll be posting catch returns this year as I receive them from our general secretary. The numbers are as accurate as possible, all anglers must complete a catch return, but sometimes there are errors or omissions. 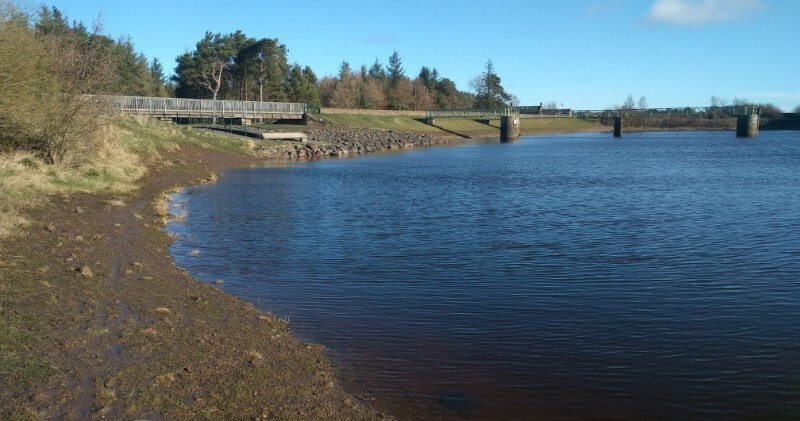 Reservoirs Looking Good, Roll on April 1st! 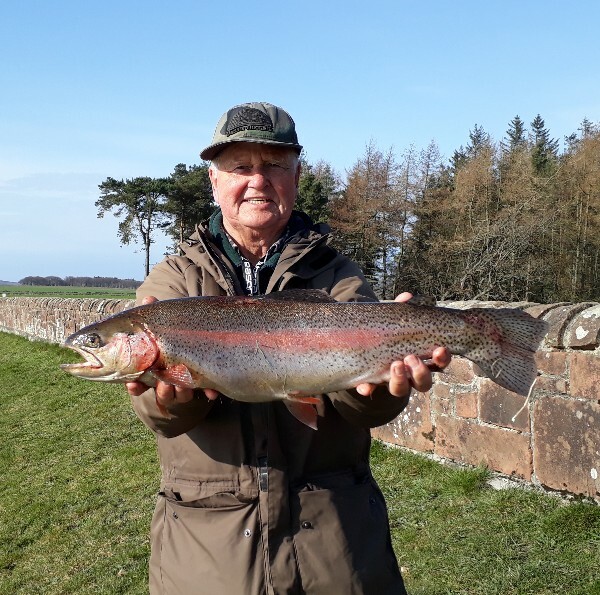 Despite Storm Gareth battering the banks everything is looking great up at the reservoirs. Water levels are up and about right for fishing. Out of the wind, with the sun shining it was feeling very spring like again today. No fish seen rising this morning, but it was choppy. Judging by the rises I've seen through the winter and resident cormorants I believe a good number of fish have successfully overwintered successfully this year. 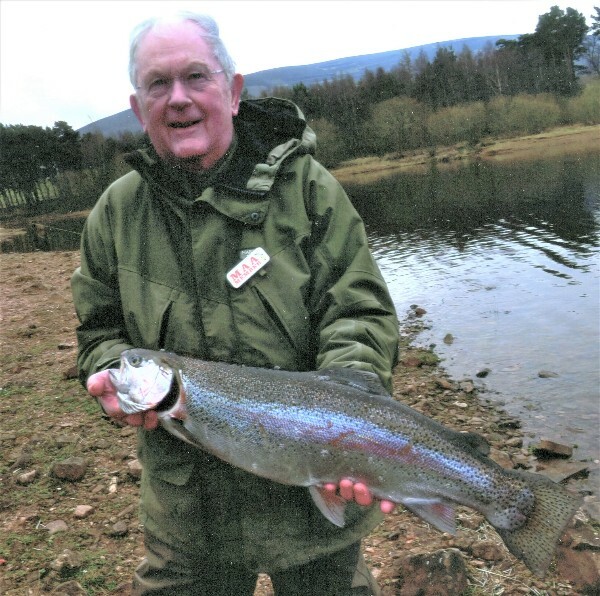 There will be freshly stocked Rainbow Trout added throughout the season. 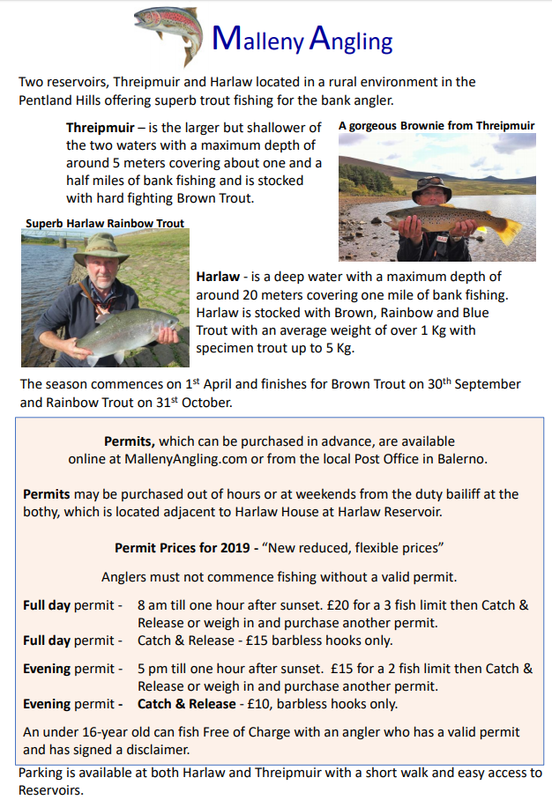 Threipmuir will also receive a fresh stock of Brown Trout. All the paths are clear and in good condition. The path towards the Blacksprings, east from the Threipmuir wall has been much improved with a new hard surface. The path extends a good way up the muddy hill back towards Harlaw. I presume thanks go to Edinburgh City Council for the works. New Permits for 2019. Something for Everyone.